“Boys, boys, boys …” are going to be front and center this week. As has been the case all season, the tense competition makes this one of the hottest events. There is also an interesting battle brewing — last year’s surprise medalists vs. last year’s predicted medalists. While they all have international experience this year, they want a little more … namely, a spot on the World team. But, that’s no easy task, especially with only two spots available. Richard Dornbush — He made his name known last season when he nearly upstaged Ryan Bradley’s swan song. His personality is charming, and he carries that through every program. He has to hit the jumps, though, from start to finish. He doesn’t necessarily have the levels to keep up with the world’s best, but if he’s on and someone else is the slightest bit off, he’ll hold his own. Adam Rippon — Sometimes — actually, far more often than we like to admit — we see a skater with the all the right pieces who can’t seem to put them together all at once. Just last year, Rippon started the season strong, but failed to bring it at Nationals. This season, he once again has challenged himself artistically with choreography and music, as well as technically with a quad lutz. No, he hasn’t hit it. And yes, he still struggles with the triple axels sometimes. But he’s had some time to gel with both the programs and the jumps. After missing Worlds last year, he’ll be hungry for a spot. Jeremy Abbott — Talk about hungry for some redemption. Jeremy is, undoubtedly, the best skater in America. However, there are times where he lets the nerves, the pressure, the expectations, or whatever else it may be, get in his head and he struggles. This season, his programs are nothing short of brilliant. The challenge of balancing creative choreography, emotional depth, and technical prowess is massive. Through the Grand Prix, he was almost there. If he gets all the way there, this could even top his first National title performance. Yes, they’re that good. Ross Miner — Not willing to easily give up his own chance at a repeat medal, Miner will be an interesting piece of this puzzle. Like so many inexperienced young skaters, when he’s on, he’s great. But the consistency isn’t quite there. He has a great long program this year that, I think, highlights his strengths. There’s not a lot of wiggle room at the top, but he’ll be vying for one of those spots. Brandon Mroz and Armin Mahbanoozadeh stand an outside chance at breaking up the top-four party. Mroz, of course, started the season with a ratified quad lutz. Mahbanoozadeh had as good a chance as any last year at Nationals. These are two skaters who have good moments, but tend to not have good skates. That’s a problem when the stakes are high all around. Don’t forget about some of the younger guys who have impressed — Joshua Farris, Keegan Messing, Douglas Razzano, Stephen Carriere, Johnathan Cassar, Max Aaron … the list goes on! The fact is, the US men have depth. They may not all be able to compete against the Chans and Plushenkos of the world, but they’ll compete in San Jose. They’ll make memorable moments, and they’ll put themselves in position to make a move next year. That’s what I love about Nationals. You not only get the chance to see the country’s best, but the country’s future. With that list of names, the future is bright, for certain. For now, though, the “future” entails a handful of minutes to determine who moves on and who goes home. Those top four guys? You better believe they all want their shot at Nice. We’ve seen how the predictable can fall through entirely. However, I don’t expect that to happen again. I’m going to go with the likeliest scenario for this one. For my “bold” prediction, I’m going to say Max Aaron surprises some people and finishes well. Feel free to let me know what you think! Who is your pick for an upset? Well, the Junior World Championships from Korea are complete. Due to the time difference and lack of available coverage, I saw all of 3 skates thus far. More are making their way to Youtube, I’m sure, but here’s a quick look at how things shaped up. The Pairs title was the first one handed out, and, as expected, Wenjing Sui/Cong Han took it easily. Their 7.41 victory, though, doesn’t show off the kind of success they had on the senior circuit this season. Some wondered if they would be distracted by their involvement in the Chinese age controversy, but they managed just fine. Ksenia Stolbova/Fedor Klimov topped Narumi Takahashi/Mervin Tran in the free skate to take the silver. Takahashi/Tran, then, took bronze. Americans Ashley Cain/Joshua Reagan finished a distant fourth, scoring a 135.40 overall, but have put themselves in good position for next season. I like this team, from their long, elegant look on the ice, to their positive-but-always-competitive attitudes. I hope the off season is good to them and they come back strong next year, as the teams ahead of them are already on their way to strong senior careers as well. Find complete Pairs results here. The Russians continued their resurgence in Ice Dance, taking the top two spots. Ksenia Monko/Kirill Khaliavin won the title by nearly 10 points over their fellow Russians Ekaterina Pushkash/Jonathan Guerreiro. Charlotte Lichtman/Dean Copely of the US pulled up from fourth in the Short Dance to a bronze medal overall, while the other Americans, Anastassia Cannuscio/Colin McManus finished in 7th. Find compete Ice Dance results here. The biggest shake up between the short and long programs came courtesy of the Junior men. American Keegan Messing led after the short program by 5.31 points over the eventual winner from Canada, Andrei Rogozine. Japan’s Keiji Tanaka pulled from sixth in the short to second overall, and Alexander Majorov from Sweden moved up a spot to land on the podium. Messing fell to fourth, followed by teammates Max Aaron and Jason Brown in fifth and seventh respectively. Find complete Men’s results here. Continuing to push to the top, the Russians took gold and silver for the ladies, as well. Adelina Sotnikova won the title, as expected. This girl is one to watch. She has some incredible jumps that remind me of the height and strength of Irina Slutskya’s jumps at times. But she has an artistic edge that Slutskya didn’t. Adelina will give some big names a run for their money if she keeps it up. Elizaveta Tuktamisheva took home the silver. Americans Agnes Zawadzki and Christina Gao flip-flopped places after the short. Agnes landed on the podium after a strong free skate, and taking bronze over Gao by 5.8 points. The third American, Courtney Hicks, had the fourth-best free skate of the event, however, and pulled up from 10th to 6th overall. Find complete Ladies results here. With all the buzz lately between Junior Worlds and Senior Worlds, I was curious…how much does Junior world success translate to Senior world success? I’ve been researching/studying this for the last few days, so look for a post early next week with all the details! Some interesting stuff came up…and, as I always do with research, I had trouble finding a place to stop! But I think I’m done compiling, now I just have to put it all together for you to see! So stay tuned. I suppose, to get it off my chest, I’ll start by stepping up on my soapbox and sharing, so bear with me. Growing up with a sports fanatic father and a basketball-star mother, it would have been nearly impossible to somehow end up NOT being a sports fan. Some of my earliest baby pictures show me in a far-too-large baseball cap bearing the logo of the best team in baseball – the St. Louis Cardinals! (Okay, okay, I may be a little biased. But every good sports fan is!) Thanksgiving has always been more of an excuse to watch loads of football than even to eat tons of food, and “playoffs” have always meant non-stop ESPN, along with the endless conversations about who would step up, or who I liked even if my team didn’t make it. I say all of that to say, I’m as much of a sports fan as the next guy. Yes, the next guy. Why am I jumping on this age-old battle again? And why here? Well, here because I can. Here, I can say what I mean and be taken at face value for what I say. The anonymity of the internet gives me the opportunity to be taken for my knowledge, my intelligence, my capabilities, rather than my appearance, my interests, or the simple fact that, yes, I am a female, and yes, I am a crazed sports fan. And why now? Because the “world-wide leader in sports” decided that they had a brilliant idea for all of us female sports nuts – an ESPN “sub-station” that’s just for women! Sounds great, right? Like ESPN is finally recognizing that there are multitudes of woman’s sports that aren’t being covered (or at least that’s their claim) and that woman watch sports differently enough that they need their own version – both online and potentially on air. There’s the back story. Now for the soapbox. …ARE YOU KIDDING ME?!?! How is this not supposed to feel like a slap in the face to those of us who have worked our entire lives to “keep up” with the boys in the business? How are we supposed to feel when ESPN – the “it” network in sports media – decides that, instead of working to achieve more equality at the parent network, let’s make it easier on ourselves by separating women all together? And if that’s not enough, let’s make it REALLY obvious (not to mention lame) and call it “espnW,” because that’s original, and certainly not limiting. Nothing like slapping a bandaid on the problem instead of actually fixing it, eh? Well, ESPN, here’s a newsflash for you – not all of us girls want our sports to be girlie-fied. We kind of like them rough and tough, or fast and sharp, or competitive and edgy, just the way they are. I may write a blog about figure skating which tends to fall in line with the “women-sanctioned sports” idea, but don’t let the music and the sparkles fool you – I can spend a Saturday watching college football with the best of ’em. I love skating for the competitiveness and the athleticism as much as the artistry and performance. I have sports apps on my phone. I talk football with the guys more easily than I talk fashion with the girls. I would choose a basketball game over a day at the spa. And I most certainly don’t need a special network to “girl down” my October baseball. I like it just the way it is, thank you very much. It’s about time the “powers that be” recognized it. Okay. Moving on. Let’s get back to skating, shall we? Let’s begin with the recent announcement of a new skating show, produced by the same crew that’s made Dancing with the Stars the #1 show in America. “Skating with the Stars” will follow the course of the popular ballroom dancing show, only with, well, skaters. 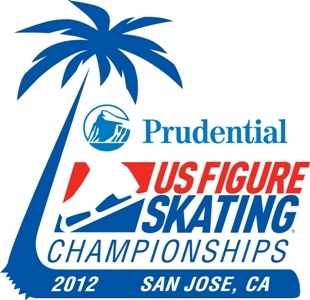 Skating professionals will be paired with a celebrity and the team will compete live in front of judges and the television viewer. Judging will work the same way as well – the judges give a score, and the viewers cast their own vote. Each week, a couple will be voted off, until ultimately, we have a winner! If you’re thinking this sounds frighteningly familiar, you’re not losing your mind. FOX tried to do something similar a while back and…well, yeah. “Tried” is probably the best thing that can be said about that show. However, this kind of thing is becoming extremely popular in other countries, so it can be done. At first, I reacted like many did – Oh boy. Here comes another reason for people to see skating as less than it really is. However, I remembered something I said in a blog a few weeks ago about US skating becoming popular prior to the Civil War dance craze, thanks to Jackson Haines (Father of Modern Figure Skating, anyone? Check the quiz from a few posts back for more!). Haines was inspired by the dance trend and incorporated what he saw into skating. At the same time, skating grew in popularity along with dance. I noted that perhaps the current dance craze would lead to another increase in skating popularity in American, and the next thing I know, SWTS is announced! Not only that, but it’s being produced by ABC and some of the executive producers and directors from DWTS, which, to me, is the best thing about this announcement. This team took ballroom dancing – something NOT popular in the US – and turned it into the biggest show on television. They know how to make it work. While I think it’s harder to get celebrities to look good on ice, I think the production value will at least be something to look forward to. The line ups will be announced during the November 2 DWTS results show. Needless to say, I’ll be checking in on that for sure! Since this post is getting long, I’ll keep my JGP comments brief for now. But never fear, I’ll be back soon with the extended version! In short, congratulations to the 10 US competitors who will compete at the Final in Bejing! The four men who made the top eight are Joshua Farris, Keegan Messing, Richard Dornbush, and Max Aaron. Four ladies will be joining them: Christina Gao, Yasmin Siraj, Kristiene Gong, and Kiri Baga. One pairs team – Ashley Cain and Josh Reagan – and one dance team – Charlotte Lichtman and Dean Copely – will make the trip as well. Great work by the US juniors this season. I would, however, like to say one thing about pairs and dance: one team? Don’t get me wrong, I’m thrilled that Cain/Reagan and Lichtman/Copely will be representing the US in China, but only one other dance team in the top 8 is NOT Russian. North American ice dance has been on the rise in recent years, but from the looks of this, that dominance is about to end. I’m not sure what it is, exactly, about European dancers and Japanese and Chinese pairs (well, maybe I do know what it is about Chinese pairs, but that’s a post in and of itself! ), but the American teams better watch their backs or we’ll really be in trouble in those disciplines. Maybe it’s time for the USFS to invest a little bit into their athletes and their futures. Lastly, I want to say a huge THANK YOU to the Korean skating fans who made my blog a popular visit in the past week or so. They love their skating, and they love their girl, Yu-Na Kim! You all are fabulous, and thank you for including me in your many posts and reposts of reports from All That Skate LA. You’re the best! Next time, I’ll take a look at some of the skaters who are heading to Japan for the NHK Trophy, and break down some of the early season program debuts that have made their way to YouTube. Skating season is upon us, friends! P.S. – heard this week that the wonderful Terry Gannon will be joining the NBC team for TV coverage of the Grand Prix series! I always loved his insight into the sport, not to mention his quality and class as a sports broadcaster. 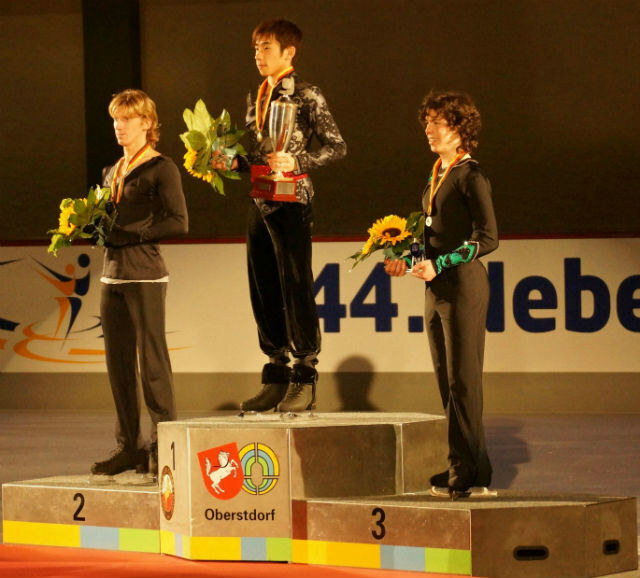 He never intended to be a figure skating announcer, but once he was there, he took full advantage of it, and made the viewers at home – as well as the skaters themselves – know that he was the real deal. He’s actually one of my own sportscasting inspirations, so I am thrilled to welcome him back to the skating world! Welcome back, Terry – we’ve missed you! First off, I’d like to congratulate the junior skaters who brought home medals from Romania this week in the Junior Grand Prix competition. Keegan Messing skated to gold for the first US gold of the season, and Joshua Farris backed him up with the sliver. For the ladies, Kristiene Gong won silver, and Lauri Bonacorsi and Travis Mage placed third for the bronze in ice dance. Nice work, team USA! Speaking of ice dance, that’s the focus for today’s post. We’ve talked through the top 20 for the ladies, the men, and the pairs (well…some of the pairs, at least! ), so now it’s time for some ice dance. But before we get there, just one more thing. And observation, I suppose. Something that made me stop and think about the toughness of all competitive athletes. This past week, I was bothered by a knee problem. It wasn’t much, and I’ll admit, I’m kind of a baby when it comes to pain. Still, for almost two weeks, I limped around, not sure what was wrong, but knowing I was struggling with simple, menial, daily tasks (getting in the car, for example). Then today, I took the morning off, instead of getting right on my to-do list, because I was battling a migraine. Now, I watch a lot of sports. I also know a lot of people who suffer from migraines, back pain, shoulder pain, etc. The athletes I watch can’t be too different. In fact, many of them push their bodies to the limits in so many ways, that they nearly always feel pain. Yet, they go out and do their job day after day. They spend long hours on the court, the field, the ice; do countless reps in the gym alone, and they deal with the aches and pains without, for the most part, saying a word. This morning, I couldn’t even get out of bed. I know we get used to watching these professionals compete, and sometimes even get frustrated when they don’t perform to our crazed-fan standards. Yet there’s not a one of them (even those who sometimes appear lazy or lackadaisical in their efforts) who doesn’t deal with more physical challenges than most of us can imagine. At least more than I can imagine. My hat is off to every athlete who takes the hits and still goes out day after day to do what they love to do, whether their knees hurt or they’re fighting a migraine or not. Okay. Back to the topic of choice: the upcoming season in ice dance. There are some key empty spots in the ranks this year, and that will make for some differences in how competitions unfold. So, without further ado, let’s take a look. Sitting at the top, for obvious reasons and without any real argument otherwise, are Tessa Virtue and Scott Moir from Canada. Their gold in Vancouver wasn’t much of a surprise, per se, but it was an obvious exclamation point on what many people have been saying about these two for years – they’re the real deal. The amount of talent and skill makes everything they do look simple. I promise you, it is not. And the fact that they can garner such high technical marks while presenting such a remarkable story, filled with emotion, passion and elegance makes them magical to watch. This season, their challenge will be reinventing themselves. Coming back to “regular” competition after such an Olympic high isn’t always easy. Plus, there’s the “What do we do to top that?” syndrome. Never fear, though. If anyone can pull out all the new stops, it’s these two. I expect nothing less. Their challengers, though, are chomping at the bit, waiting their turn to one up their friends and training mates. Meryl Davis and Charlie White produced one of the best Original Dance numbers ever last season, and they two will have to reinvent themselves. In order to get the scores they’ll need to take down Virtue and Moir, they’ll need to up the technical ante as well as smooth out some of their transitions and footwork sequences. The thing about Virtue and Moir is, everything looks like one, giant, sweeping movement. Davis and White tend to leave things a bit more sectioned. (Footwork….spin….lift….transition, etc.) That said, I have no doubt that their coach is pushing them both. The inspiration factor certainly lies more with Meryl and Charlie, as they still have something to prove. That could be enough to get them where they need to be. The French team of Nathalie Pechalat and Fabian Bourzat have certainly had their challenges. They managed to finish second to Virtue and Moir twice last year, before ending up 4th at Worlds. They always bring something unique to the table, and it’s evident they love to compete. They can’t quite seem to find that extra bit to push them over the top. I think their PCS scores need to improve to give them a leg up. The sibling team of Sinead and John Kerr from Great Britain have impressed in the last few seasons. THey have an impeccable ability to get a crowd going, and that makes them ever so likable. They need to add a little bit technically to match up with the top teams, but they’ve been on a steady climb in that direction. I expect more of that from them as they look to get in the top three this season. Anna Cappellini and Luca Lanotte of Italy, and Vanessa Crone and Paul Poirier from Canada are 7th and 8th. I admitedly don’t know much at all about these two. The finished 12th and 14th at the Olympics respectively. Number 9 is the young American team of Emily Samuelson and Evan Bates. These two are looking to carry on the relatively new tradition of solid American ice dance teams. Undoubtedly, these two were influenced by the success of Tanith Belbin and Ben Agosto who really put US ice dance on the map. Now, they look to be the next generation of that work. They definitely have the talent and the determination to do just that. From their icenetwork.com athlete profile, their goals for the season are “to qualify for the Grand Prix Final, finish in the top two at the U.S. Championships and place in the top seven at the World Championship.” Of course, it’s far to early to make any real predictions, but I’m going to go out on a limb and say I think they can do all three. Canadians Kaitlyn Weaver and Andrew Poje finish off the top 10, and this is another young team that will make a splash as soon as this season. Third in Canada last year, they will be working to move up that ladder. I look forward to seeing what they have to offer together. The bottom half of the top 20 is filled with several teams I’m not too familiar with, so I’ll key in on a couple of young American teams and leave the rest of my dance insight for the season. Another brother-sister team, Maia and Alex Shibutani have been U.S. champs at the novice, intermediate and junior levels, and now they’ll be working towards a solid senior debut internationally. These two have some spark. They’ve got some skill. I can’t wait to see where their future takes them. Madison and Keiffer Hubbell will be looking for the same kind of breakout season. With these two young teams coming up the ranks, I have to say, the future of US ice dance looks to be in great hands. I like what I see. Interesting, isn’t it, that the powerhouses of the sport of ice dance are mainly North American? The super stars of the sport are getting the credit they deserve, and the momentum has shifted dramatically from only European skaters to the top Americans and Canadians. While there are a lot of things about the CoP judging system that I don’t love, I do like that in a lot of ways it leveled the playing field, and, especially for dance, made the requirements more clear cut. Keep in mind, the discipline of ice dance will look dramatically different this year – no compulsory dances means no repetitive patterns of dance on ice. I’m not sure how I feel about this change (call me old school, but I like the focus on actual skating skill that compulsories brought, just as figures did to singles skaters), but what I’ve heard so far about the new “Short dance” seems mostly positive. I’ll reserve judgment until I see how it plays out in a few competitions with top teams, but it will definitely change the landscape of how dance competitions go. Often, some of the top teams in the world were not always tops in the CD (Belbin and Agosto, for one). That could shake up the standings, even with some of the top teams. Regardless, it makes for an interesting season. Once again, (I feel like I say this a lot…) I can’t wait! I had every intention of putting up a video blog with this post, but due to the headache, I never got around to it. I’ll work on that for next time, especially since we’ll be moving on from our top 20 overview. We’ll see where the skating world takes us next, and try to get the camera out for the vlog as well. Thanks again for all of you who come here and read my thoughts. I know many people checked out the blog after a twitter response I got from Erin Andrews – if you’re still reading, thank you! Erin is quite a role model, and I was blown away by the responses I got from some of you, both here and on twitter. Now, if you know anyone else who might like a little skating insight, send ’em on down! And, as always, feel free to comment, email thoughts (and even topic ideas or questions) to fromtheboards@gmail.com, and follow me on twitter for daily tid bits. I’m there 24/7 @fromtheboards, and I love hearing from you! You’re the best.